Some people love shooting as a stand-alone sport, while others simply use guns for hunting or self-defense. Whatever your reason for owning a firearm, eventually you will need to maintain it if you want it to continue to perform at optimal levels. And if the gun buy bites you may find yourself wanting to modify your weapons, or in extreme cases feel the desire to build your own. In all of those cases, you will need gunsmithing tools. Gunsmithing tools are specialized tools for repairing, modifying, or building guns. 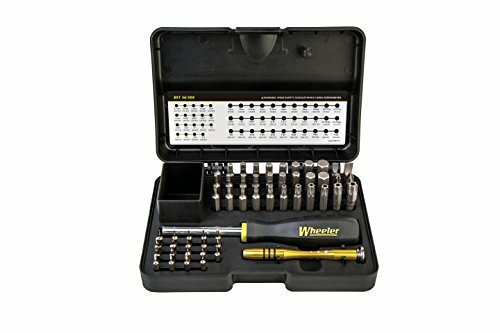 Includes sae Hex bits- .028", .035", .05", 1/16", 5/64", 3/32", 7/64", 1/8", 9/64", 5/32", 3/16", 7/32", 1/4", 5/16", 3/8"
Gunsmithing tools are useful for hunters that are looking to maintain the structural and performance integrity of their hunting rifles, and who are interested in learning some of the finer care and keeping of firearms. 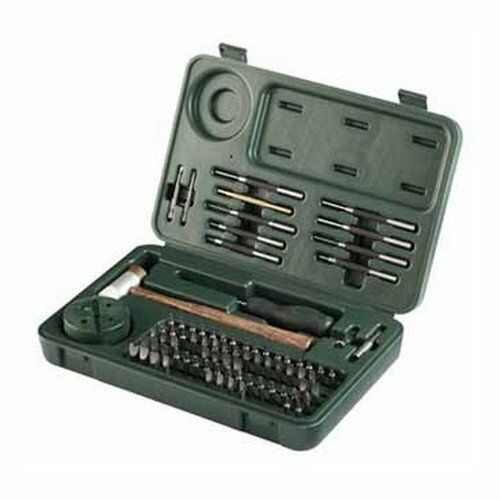 A gunsmithing kit contains specialized tools made to tailor to the smaller, more precise screws and edges found within most hunting rifles, and can also be used to upkeep other forms of hunting guns, such as handguns and black powder shotguns. A gunsmithing kit is crucial for anyone who owns a hunting rifle who wants to ensure the longest life possible for their weaponry, as a gunsmithing kit is almost as crucial as a cleaning kit for keeping up on the structural integrity of your hunting weaponry. While there is a learning curve to using gunsmithing tools, there are many helpful tutorials on the internet to help you figure out the best way to care for your hunting rifle, as well as plenty of books and other guides on how to upkeep your hunting weaponry. 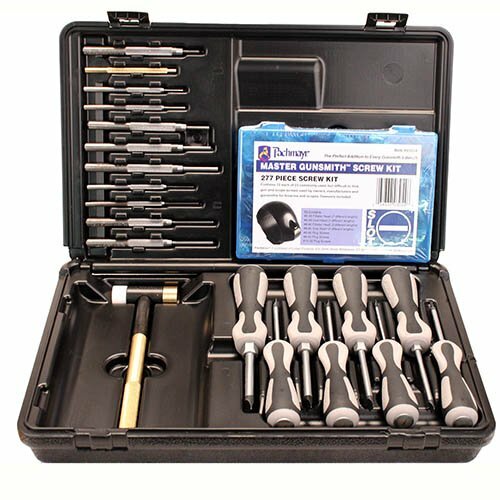 A gunsmithing kit contains anywhere from twenty-five to ninety unique pieces and bits to help you care for a wide range of specialized guns, from hunting rifles to semi-automatic weaponry. A quality gunsmithing kit is compact, but thorough in its offered tools. 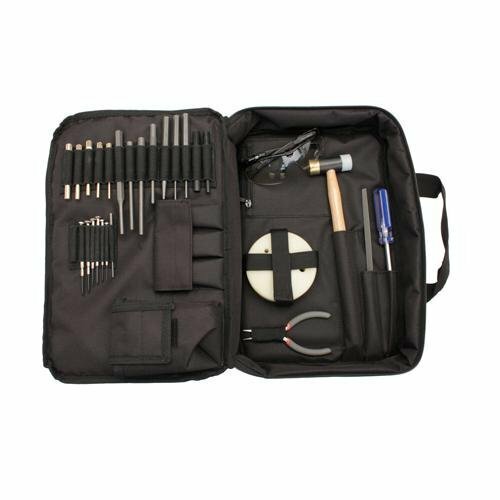 When it comes to investing in a gunsmithing kit, looking into the wide range of styles and specialized tool kits on the market is key to making sure that your purchase works for you. Most gun kits will list which guns they are tailored towards, if any, allowing you to gauge the best kit for your hunting needs. If you spend a lot of time and money keeping up your rifle collection, but are not as keen on black powder hunting with your shotgun, you may be better off investing in a more specific gunsmithing tool set. However, if you enjoy a wide range of outdoor hunting activities and have a large collection of varied guns, a more general gunsmithing kit may be best for you. A gunsmithing kit is perfect for small-scale repairs and maintenance on your hunting guns, as well as for customizing the various scopes and attachments available for your gun of choice. 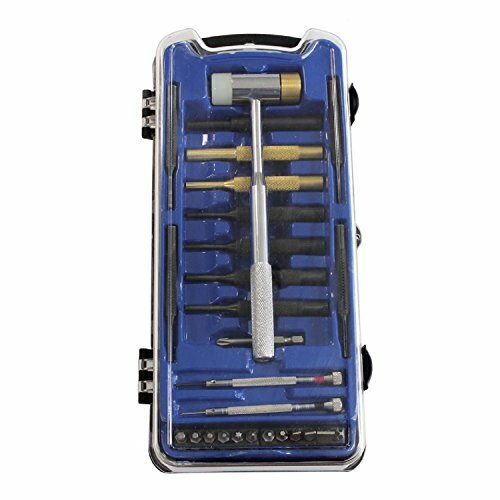 While some guns are able to be serviced using a normal screwdriver in a pinch, a specialized gunsmithing kit allows you to carefully and safely take apart and adjust your guns without worrying about damaging the body or screws on your gun. Much like any other service for your guns, it is important to check the reviews and quality of your gunsmithing kit before you make a final purchase. When it comes to ensuring that your hunting rifle works at prime capacity, you don’t want to cut corners. Otherwise you may find yourself face to face with the most perfect trophy game possible, only to have your gun jam at the last second. Good gun care and cleanings are a key part of maintaining your hunter’s kit, and as such having a high-quality gunsmithing kit in your collection is crucial to ensuring that you and your equipment can perform at your best when on the field.